Very much ‘hands on’, Coventry made his sculpture not in a traditional artist’s studio but in a workshop akin to that of an engineer or blacksmith. Rooted in a strong figurative tradition, his sculpture exists in spite of any vagaries or trends in the art world and is an intensely personal art, practical and unpretentious, honest and imbued with great integrity. Always taking his inspiration from the natural world, the way in which he deftly transformed an assemblage of shapes into a familiar bird, beast or body, is part of the magic of his art. 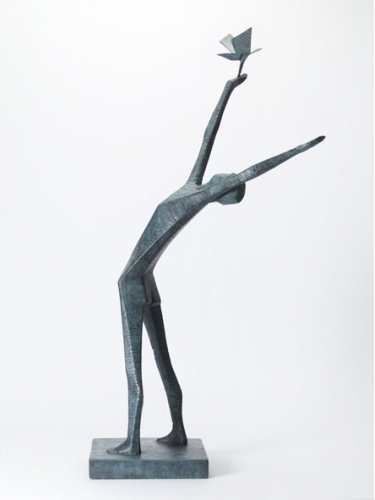 More sculptures, drawings and prints by Terence Coventry are available - please contact the gallery.